Written on May 31, 2016 . Posted in Architecture and Design. 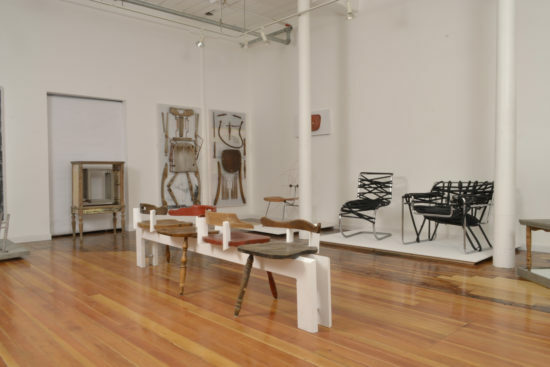 Markus Berger (Associate Professor, Interior Architecture) has a new exhibition ‘re-making’ currently on display at Periphery (80 Fountain Street, Unit 106 Pawtucket, RI) until 18th June 2016. The exhibition is open Monday to Friday, 9:00AM to 2:00PM. 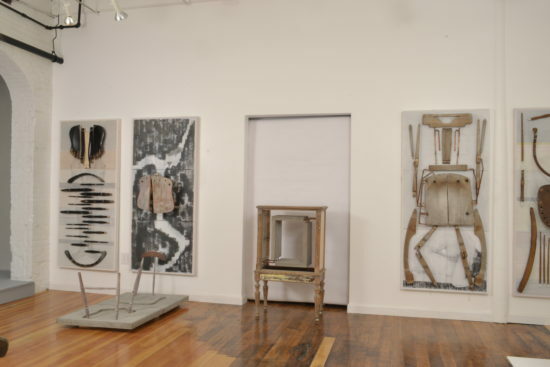 His current work engages discarded objects and materials and rather than seeing them as unwanted and broken, it is de-constructed and re-interpreted to find new meaning, form, and expression. The initial stories of these objects, their meaning, integrity, and what was taken away from them when they were discarded, are all part of this critical inquiry. The process of re-construction or re-making responds to these stories and inquiries, and through appropriation, imbued in each one of them with an identity that is both its own as well as one shaped by its new and vital relationship to me.